Bow Street Mall is a 2 level city centre indoor shopping centre and car park, with over 50 units and 1000 carpark spaces in a challenging city centre location. 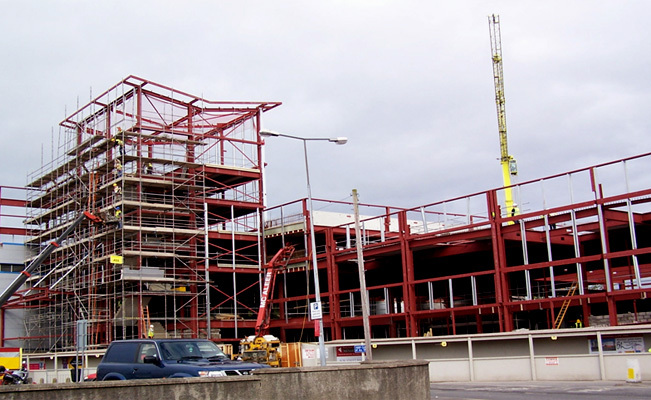 Smyth Steel over all phases provided over 3500 tonnes of steelwork with the car park beams being pre-cambered in-house. The largest single phase was phase 4 comprising 1400 tonnes of hot-rolled steelwork. The project was completed on time and within budget.